Cut chicken, fruit and vegetables. Mix together sour cream, mayo and salt. Stir together and service on croissant. 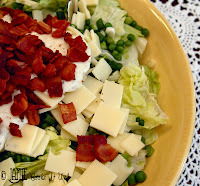 In bowl add lettuce, bacon, peas, cheeze and green onion. In seperate bowl mix mayo, miracle whip, pepper, salt and sugar. When ready to serve spread dressing into salad and toss. In seperate bowl mix together milk, pudding, sour cream, and marshmallow cream. Use 1 lime and juice into mix. Mix altogether and garnish with limes and fresh fruit. Boil Pasta according to package. Cut broccoli, tomatoes, and cheese. Mix together and pour dressing over top. Mix well. Blend sherbert and lemonaide together. Add sprite. Enjoy! This month our guest speaker will be Sister Jillayne Clements. She will be teaching us how we can use some of the beans in our food storage. She will also be sharing some gluten free ideas and recipes. Come out and support her. Wednesday, February 1st at 7:30. That same evening will be the cannery at 6:00 PM For more information contact Cindy Fulton. Come on over to the church for a fun and relaxing evening. This is a holiday treat swap, so bring your favorite cookie, brownie, fudge, etc. Bring the recipe if you wish. We will be playing games and visiting. Bring any project whether it be from super Saturday or any other thing, if you want to work on it or have help finishing it. This is a night to relax and laugh and mingle with new or old friends. If life gets to busy for you to make a treat, come anyway. Invite your neighbors. There will not be a nursery provided this night. Well Ladies Super Saturday is just about HERE! Remeber we are starting at 11:00 am this Saturday October 8th at our Ward Building. **If you signed up for The Measure board... The color provided will be exactly as you saw on display (White, washed with brown). Any other colors must be brought by YOU. A Measuring tape and small ruler would come in handy if you have one. **The Christ Names on Canves, the Color provided is Red. **The "Busy Family Board" color provided is Black. ***If you signed up for this craft PLEASE bring a Black Sharpie permanted marker with you if possible. Also if you have a ruler please bring one as well. **Pumpkins; orange, yellow and brown paint are provided. We have some scrapbook paper provided for the fronts, but there is NOT a variety of choices. If you want to bring your scrapbook paper scraps for something different you are welcome to do so. **"we can do hard things" board is black. Sisters we are doing a lot of crafts that required painting! Feel free to bring any of your personal craft paint stashes if you are willing to share. Also you may want to wear an apron to keep clean! Get ready to have a lot of Fun! It is going to be Awesome! Monday September 26th is your last chance to hand in Super Saturday Money and order Forms. Turn them in to Denise Buck or Tamra Humphrey. 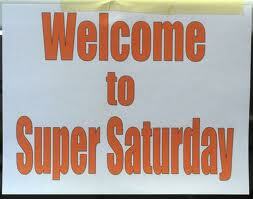 Super Saturday is coming quick!!! Valerie is great at both pedicures and manicures. She can create one-of-a-kind art on your nails. Her prices are very reasonable. Call her at 623-2883.